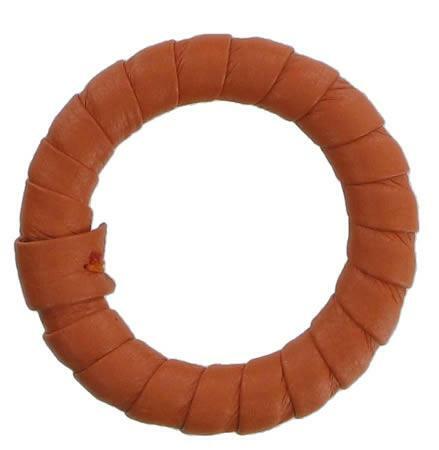 40mm Diameter Leather Bound Handbag Strap Attachment Ring in Coral. This ring shaped handbag strap attachment (possibly by Radley) will accommodate a strap/ belt of up to 1 inch) 25mm in width. Overall diameter is 40mm. This version is spiral bound with a strip of good quality coral coloured leather. As the ring is solid, some stitching will be required to attach it to your handbag.